I have just finished my first week in Italy and it has been as colorful and exciting as ever. 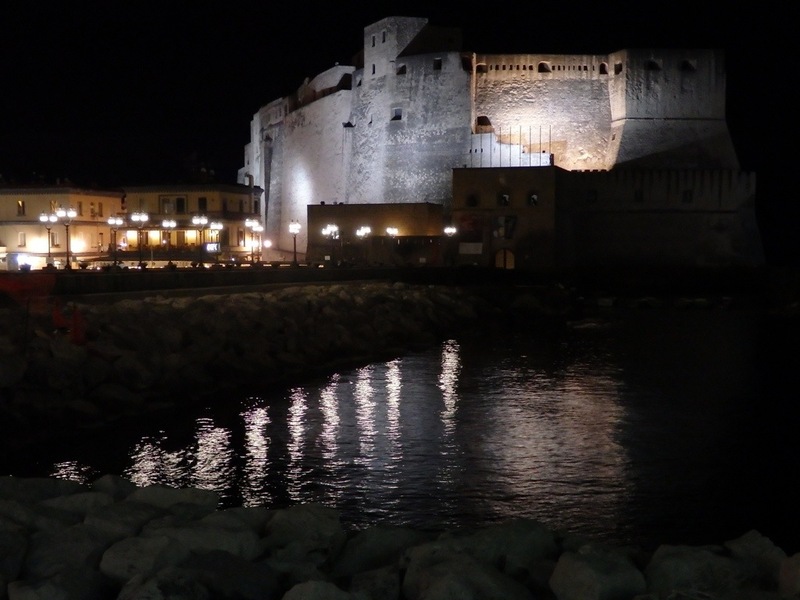 Sunday evening found me caught up in Napoli’s waterfront evening stroll known as the Passegiata. Couples, families and friends tie in together and socialize on a very interactive level. As the daytime heat begins to cool into a gentle breeze, people begin to gear down into a slower and much more relaxed mood. I found myself melting into it as a part of a community that together relish the ending of each day by welcoming the start of an evening rimmed overhead by a soft pink sunset. 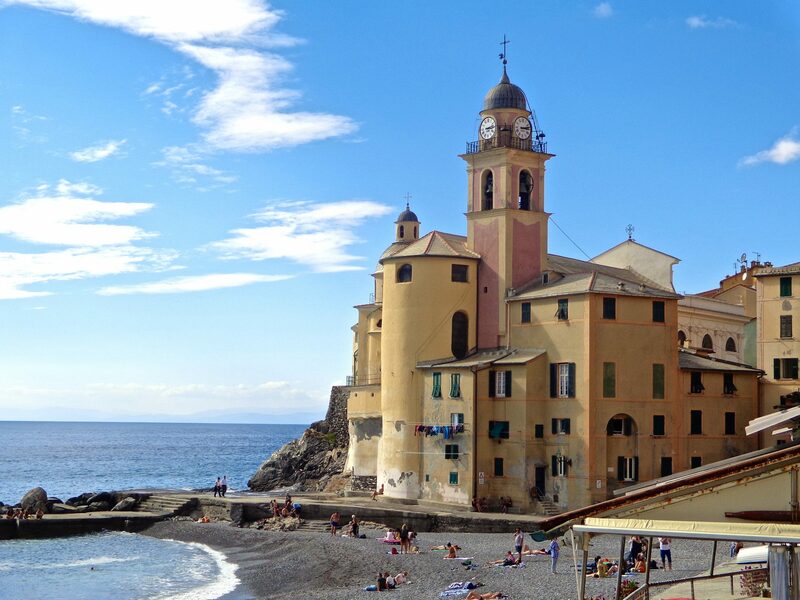 The Bay of Naples is a long and level stretch of amazing waterfront. Inland Naples earns its ‘gritty’ reputation, fast and chaotic, but on the waterfront it’s a whole different world. With its rickshaws, vendors, and spinning night toys that glow in the dark, the evening Passegiata is a place where everyone is welcome. 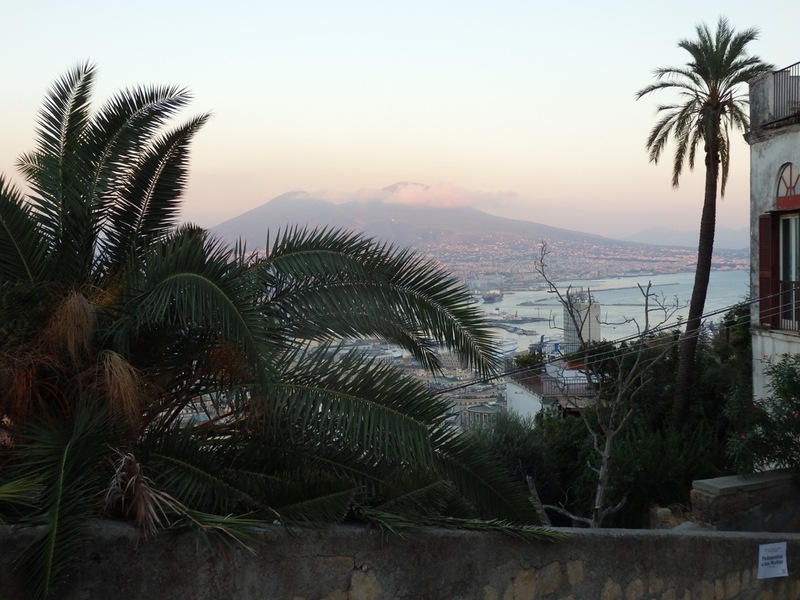 The following photo reveals the soft evening glow over the Bay of Naples with Mt. Vesuvius in the background. 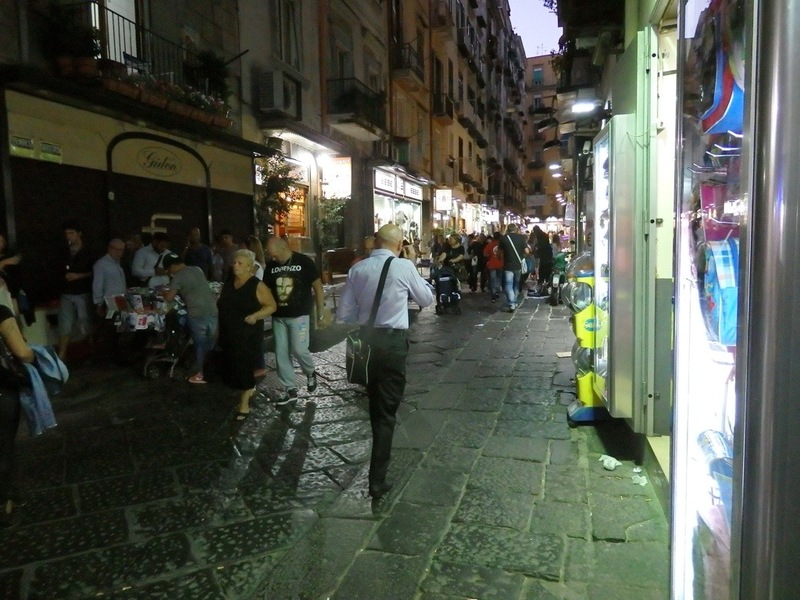 You will also see photos of inland Napoli and the people of the city. Tomorrow will find me in Florence and points beyond…..stay tuned! Looks like a fascinating place, Susan. I’m enjoying your photos and look forward to more. Interesting as always to those of us who love Italy. 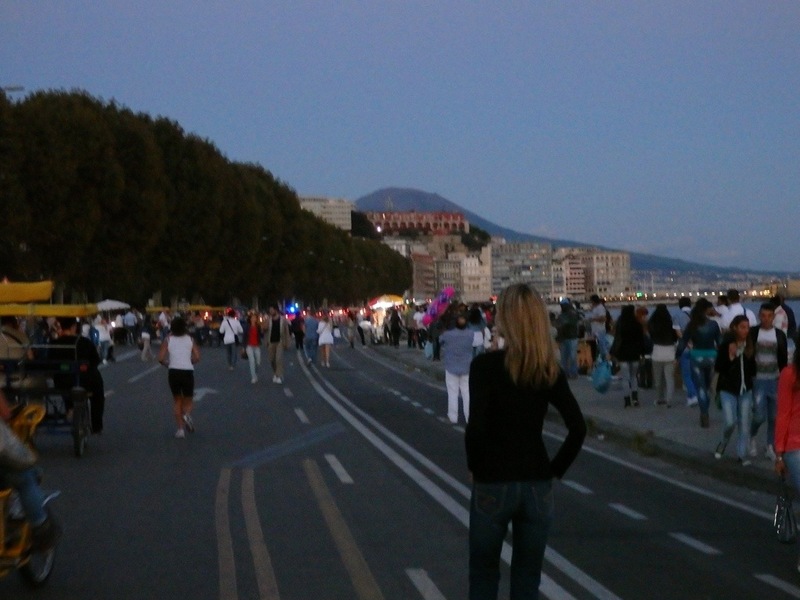 I haven’t done the passsgiata on the waterfront, but have walked those crowded streets you picture–and enjoyed them. I have ridden the jammed buses and wandered the marvelous museums and churches. 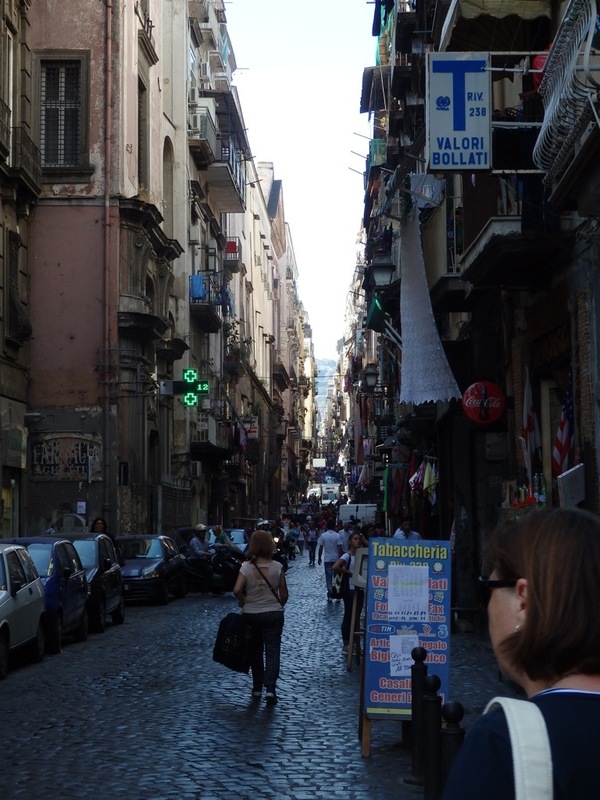 I have a Naples story I will send you when I have time or can find the blog I posted it on. For now–enjoy!